The Stony Plain & District Chamber of Commerce was established in 1959, to support local business and the community. With an economic shift due to the improved road infrastructure and the advent of the shopping centres in the Edmonton metro area there was a need to “recognize the competition (of) these new, attractive shopping centres and meet it by making our own establishments more attractive and [impressing] and increasing the service we offer to our public”, proclaimed 1959 Chamber President J. Murray Byers. For over 50 years Stony Plain & District Chamber has provided essential support to the local business community and continues to fight for the promotion and success of local business. 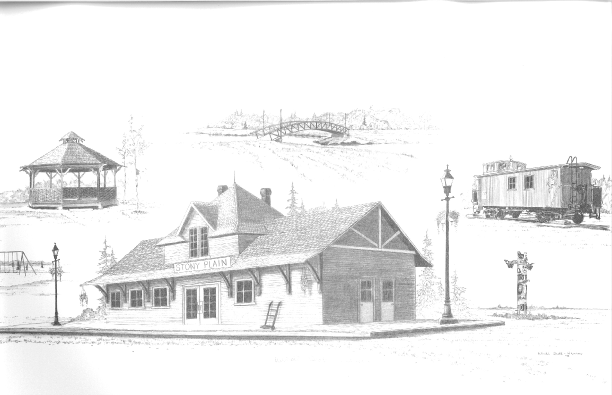 Now situated at the beautiful Dog Rump Creek Rotary Park, in the replica circa 1905 Railroad station, the Chamber strives to provide continued and added value to its members.